MP3 Shield for Ardiuno. Still needs a couple of fixes to the PCB ( I forgot that the arduino was running at 5V not 3V). Might add some voltage dropping resistors as the cheap solution (£0.10) or add an 74HC245 to do it properly so it can run with 3V arduino boards without mods (£0.34). I think I will go for resistors as this makes assembly easier and to mod for 3v operation just means removing a couple. No firmware as of yet so my next job(after fixing the hardware ) will be porting the vs1001 libs from the butterflymp3 project over to arduino. Haven’t decided weather to use my own MMC and FAT routines or just grab the ones from adafruit’s wave shield . The board has a 3.5mm headphone socket, SD/MMC slot, VS1011 decoder and a 5 way joystick. Perfect for mucking about with MP3s and Arduino. Are you planing to sell boards for the project or make the files available? We at http://www.arduino.nl ; http://www.floris.cc are planning to make a big load of empty pcb's of the Adafruit Waveshield, Motorshield and Protoshield together with some of our own designs. Maybe you are interested to join. ?
" 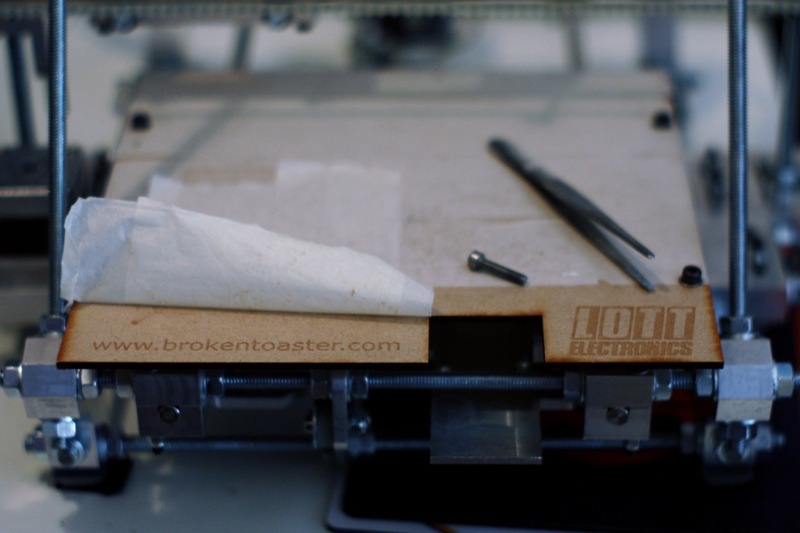 nick at brokentoaster.com "
Previous PostPrevious Whats on my bench at the moment….